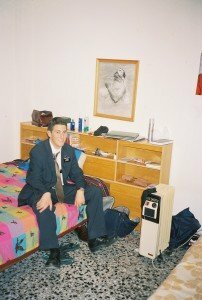 Wrapping up temples, I had an interesting experience a few years ago. I (it’s Al) am originally from Missouri, and growing up, our closest temple was 12 hours away, then we eventually got St Louis MO with a temple so that was nice, only 4 hours away. So one weekend, work took me to the big STL and while there, I decided I’d squeeze some time in for the temple, I hadn’t been in way too long since travel and such was such a hassle. So I have a flight out, but leave early and drive the opposite direction of the airport to the temple, it’s about 45 minutes from my hotel, I’m excited to get there. I park, change into a tie quick and rush in anxious to get on my way and I hand the man at the desk my recommend and he glances at it, apologizes, and points out that it expired 2 months prior. I walked slowly out to my car and sat down in a mild shock. I had done nothing to lose my recommend, and I had a desire to get to the temple, and when I finally did, I went through all the work to get there, did everything I could think of, and made it to the door. My own laziness and lack of attention or focus lost me the chance to participate in wonderful covenants that day. That day, I had a glimpse into what fruits laziness and neglect will give. So what keeps me from going to the temple? That same laziness, it is the sneakiest trait that will rob you of joy and happiness. Be warned. First off, I loved Al’s St. Louis Temple story. A good reminder to always be prepared and to follow President Hickley’s counsel to always have a current recommend, even if you live so remotely from a temple that you only get to go every few years. Baptismal symbolism! Well, the most obvious is the symbol of rebirth or renewal as we emerge from the water, ready to start anew, refreshed and recommitted to the Gospel. But there are some others – perhaps just conjecture from me – that I think of. We have to give our trust over to the Lord and the officiant in His priesthood at the time, trusting that we receive the ordinance and trusting that as he lets us fall beneath the waves, he will also bring us back up. Also – purity. White clothes. Clean water (pretty sure all water is meant to imply cleanliness, even if you are getting baptized in some post-communist industrial port). Here’s a fun picture from my mission (click to view larger) that we had in my first apartment – Adam being baptized by the Spirit? All the Elder said it just came with the apartment. **BONUS** What scripture tells us about Adam’s baptism? What are your thoughts on the symbolism to be found in baptism? Why did Jesus get baptized when he did not need to be washed from sin? That might seem like a bit of a softball to some of you, but work with it. I think the key to “Why did Jesus get baptized when he did not need to be washed from sin?” lies in vs 10 of chapter 31 in 2 Nephi. “Follow thou me.” The Savior obviously cares about us, with His primary goal being to help us return to our Heavenly Father. How strange would that be, where on the biggest journey of our existence, he didn’t do everything in his power to help us find the way? We have been shown the path explicitly, there is no Harry Potter esque mystery / adventure for us to fumble around in on our own, we are simply asked to “Follow thou me.” Christ is the hero in this story, not us. So why baptism? I think the symbolism Geoff pointed out is spot on. Repentance, death, resurrection and being made perfect again, being washed and made clean, all of this is incredibly important for us to understand. Of course Christ would partake of that. Oh, also, there’s the technicality of being obedient. What is the covenant that accompanies the ordinance of baptism? Why the unnecessary slams on Harry Potter, Al? WHY?! I was surprised with Day 3’s email that no mention was made of Mosiah 18:9. I think the greatest thing that we covenant to do is to be a witness of God “At all times and in all things, and in all places that [we] may be in, even until death, that [we] may be redeemed of God….” I also love the preceding clause to “…mourn with those that mourn; yeah, and comfort those that stand in need of comfort.” That nails it for me. That is the essence of Christlike discipleship and love. When was the last baptism that you attended? What do you remember from it? Why were you there? How did you feel? Bonus challenge: Get off your keister and attend the next baptism in your ward even if you are not a ward missionary or have any relationship whatsoever with the person being baptized, investigator or child of record. GO.